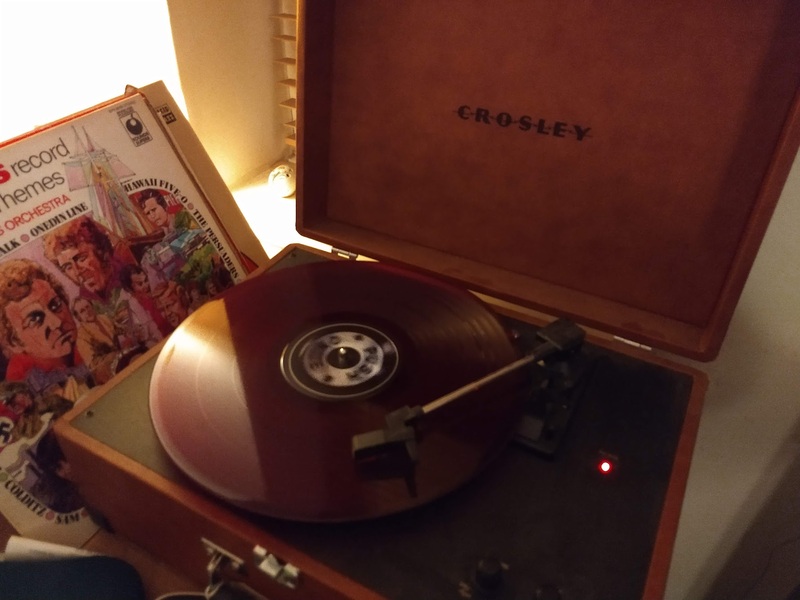 When she was 40, my partner Catherine was given a record player as a present. We had no records of course. My parents had given what little vinyl I had away whilst I was at university. I guess it made sense to my mum. Hey, I didn’t have a record player any more. But this did mean I no longer have my 7″ single of Always Look On The Bright Side of Life from Monty Python, nor my 12″ of Milky Milky by Mr Strange and the Lactose Brotherhood. This makes me sad. Like many I went digital with music years ago. But the record player began to change that. Vinyl is special. It feels great to hold in your hands. It’s physical. You can touch it. It’s big. It looks great. I love playing it. Then the other day I was stood in HMV in Stockport after having been to the opticians next door. And there it was. The Prodigy’s No Tourists. I’d been thinking of buying it for a while. But I rarely get near a music shop so hadn’t got round to it. And there it was. I picked it up. Was about to go to the till. Then something made me put it back on the racks. For there, on display, was something even better. The same album BUT ON CLEAR VIOLET VINYL! Yeah, it was a fiver more, but CLEAR VIOLET VINYL!